Hosted by Bosch Diesel Systems North America, the California Diesel Days program was a unique gathering of automotive industry, state government and environmental organization representatives, which focused on clean diesel passenger vehicle technology. The roundtable format engaged California legislators, regulators and other attendees in discussions about immediate benefits Clean Diesel passenger vehicles offer for reducing vehicle petroleum consumption and CO2 emissions. In addition, the program promoted science- and fact-based dialogue on a level regulatory playing field for near-term technologies reducing CO2 emissions and increasing fuel economy. Tom Baloga • Vice President, Engineering US for BMW NA, LLC. Tom is responsible for US Engineering involving Environmental, Safety, Intelligent Transportation Systems, Product Development, and Product Analysis activities of the BMW Group. The BMW Group includes BMW, MINI, and Rolls Royce. Prior to BMW, Tom was the owner and principal of INIT LLC, an innovation consulting firm, President of Britax Child Safety, Inc., Manager of Safety Engineering for Mercedes-Benz USA, and a Senior Test Engineer for Mack Trucks, Inc. He is the primary inventor on multiple US and foreign patents. Tom served on the Board of Directors for Public Safety Equipment, Code 3, and Kustom Signals. Tom has degrees in Automotive Technology from The Pennsylvania College of Technology, and Mechanical Engineering from The Pennsylvania State University. 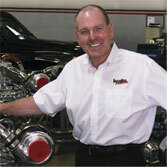 Gale Banks is the President/CEO of Gale Banks Engineering, founded in 1958. This diverse engineering and manufacturing company has grown into a position of industry leadership, through product innovation and technology that combines power and durability for true performance. Banks makes his office at the Azusa, California headquarters of his company. His championing of clean diesel power and his work with companies like Bosch, General Motors, and Cummins has attracted strong interest from both the media and public, and has made him a sought-after expert on the subject. He also serves on the SEMA Board of Directors and is a member of the forward-thinking XPrize Committee in its quest for the 100MPG automobile. In December of 2008 the Wally Parks NHRA Motorsports Museum opened a special exhibit celebrating "The First 50 Years of Banks Power" and in March of 2009 Banks was presented a Distinguished Service Citation from the Automotive Hall of Fame. 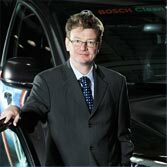 Bernd Boisten is the Regional President of Diesel Systems for Robert Bosch LLC. He was named to this position in May 2008. In his new position, Boisten is responsible for more than 1,700 associates of Diesel Systems in North America. Boisten joined Bosch in 1990 as a trainee at Robert Bosch GmbH. Since that time he has held numerous positions of increasing responsibility in gasoline and diesel systems, technical sales, project management and application engineering at Bosch sites in Stuttgart, Frankfurt; Hannover, Germany; and, Farmington Hills, Mich. In 1989, Boisten earned his degree in electronics from the Technical University RWTH Aache. James Wilkinson is Manager of Regulatory Affairs with Daimler's Washington DC office. In this capacity he helps develop and implement corporate strategies concerning regulatory issues including vehicle safety, emissions, fuel economy and alternative fuels. Mr. Wilkinson has over twenty-eight years experience in the field of electromobile fender flares development and alternative fuel vehicles and government relations. 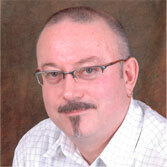 Prior to joining Daimler he was Vice President Marketing, Electrosource. A battery company that supported electric and hybrid electric vehicle programs of most major auto companies around the world. He also helped start and became the Associate Director of the Center for Electrochemical Systems and Hydrogen Research at Texas A&M University. The center conducted fundamental research in alternative fuels. Mr. Wilkinson earned a BA in Marketing from Lynchburg College and MBA from the University of Texas, Austin. 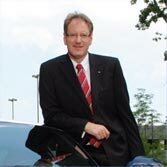 Johan de Nysschen is the President of Audi of America, Inc. He is responsible for all aspects of the Audi business in the United States and is leading Audi's efforts to become the most progressive premium brand in the luxury segment. de Nysschen assumed these responsibilities in December, 2004. Joining Audi of America after many successful international assignments for the Audi Brand, de Nysschen most recently served as the President of Audi Japan for five years. During that time, he oversaw significant development of the Audi business, establishing an exclusive Audi dealer network and reconfiguring the product line-up. Audi sales in Japan more than doubled during this period. 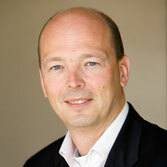 Burkhard Huhnke is the Director at Volkswagen of America, Inc.'s Electronics Research Laboratory (VW-ERL) in Palo Alto, CA. Since March 2007, he has been leading this group of highly motivated employees. The VW ERL staff includes a team of 50 engineers, social scientists, product designers, and up to 20 interns. 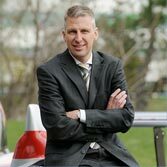 Before his transfer to Volkswagen of America, Inc., Burkhard Huhnke held management positions in various departments (research and technical development) of Volkswagen AG, Germany. Burkhard Huhnke received his degree in 1993 in electrical engineering at TU Braunschweig, Germany and obtained his PhD in engineering in 1999. For his thesis he was awarded the 1999 German Measurement Award. James D. Boyd was appointed by Governor Schwarzenegger to a second five-year term on the California Energy Commission on February 2, 2007. He was first appointed to the California Energy Commission on February 6, 2002, and he was appointed to the vice chair position on June 16, 2006. 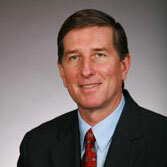 Prior to his appointment, Commissioner Boyd was Deputy Secretary and Chief of Staff of the California Resources Agency. He created and chaired the state's first Joint Agency Climate Change Team and the state's Natural Gas Working Group. 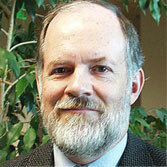 With the Air Resources Board since 1982, Tom serves as the Chief Deputy director of the staff of the ARB. He manages all aspects of the Board’s motor vehicle emission control program, which develops regulations and other programs to reduce vehicle emissions. He also manages the Board’s Monitoring and Laboratory Division, which performs ambient air quality monitoring and develops test methods. Overall 400 professional and support staff are dedicated to these programs, which are contributing to a steady decline in air pollution in California’s major urban areas. Involved in many aspects of air pollution control since 1974, Tom has also served as a Legislative lobbyist for the ARB, and worked for eight years for the U.S. Environmental Protection Agency Motor Vehicle Emission Laboratory in a variety of technical, management and policy positions. Before that he was involved in rocket engine production and test and flight performance analysis at Rocketdyne in Los Angeles, where he gained first hand knowledge of living in the smoggiest city in the U.S.
Tom has a Masters of Science degree in Engineering and a Bachelor of Science in Aeronautics and Astronautics. He has published papers for the Society of Automotive Engineers and Air and Waste Management Association, and is a frequent speaker on air quality issues. He lives in Sacramento with his wife and two children. Roland Hwang is the Vehicles Policy Director for NRDC's energy program, working on transportation energy and global warming issues at the state and national levels. He is based in San Francisco. Before he came to NRDC, he was the director of the Transportation Program for the Union of Concerned Scientists in the Berkeley office. He also has worked on energy forecasting models at Lawrence Berkeley National Laboratory and as an air pollution engineer at the California Air Resources Board. He is a mechanical engineer by training, with a master's degrees in mechanical engineering and public policy from the University of California. Dr. Lloyd was appointed by Gov. Arnold Schwarzenegger as the Secretary of California EPA in December 2004, after serving as the Chairman of California ARB from 1999 to 2004. Under Dr. Lloyd’s leadership, Cal/EPA and California ARB implemented a number of programs that kept California at the forefront of transportation technology and policy. Dr. Lloyd was one of the driving forces behind zero and near-zero emission technology mandates in California, spurring a global research and development effort on advanced technologies, such as hybrid, fuel cell and electric vehicles, that we continue to benefit from and improve upon today. Dr. Lloyd has never shied away from tackling difficult problems. As the Chairman of ARB, Dr. Lloyd initiated one of the most aggressive diesel risk reduction plans in the world. And at Cal/EPA, Dr. Lloyd led the Climate Action Team to develop a long-term strategy intended to meet the governor’s goal of reducing greenhouse gas emissions to 50 percent of 1990 levels by 2050. In this position, Dr. Rueger is responsible for all areas of diesel engineering of Bosch in North America including systems engineering, hydraulic components, electrical control units, and exhaust gas aftertreatment for both, passenger cars and commercial vehicles. His engineering organization is based in Farmington Hills, Mich. and Charleston, S.C.
Rueger received a doctorate in engineering (Dr.-ing) and a degree in economics at the University of Dortmund. After first serving as a Visiting Research Fellow at the Center for Energy Efficiency and Renewable Technologies (CEERT), John joined the CEERT staff in 2006. He is one of CEERT's two technical experts for key projects, analyzing and evaluating scientific research on climate change, atmospheric chemistry, air quality, the environmental impacts of energy use, and the benefits of renewable energy. John is CEERT’s project leader on clean transportation, including vehicle technologies and alternative fuels. He serves on the California Energy Commission’s AB 118 Advisory Committee, the Executive Board of the California Biomass Collaborative (an advisory body on bioenergy issues), and Co-Chairs the Central Valley Air Quality Coalition’s Energy Committee. John has served on several key advisory bodies and working groups at state and regional agencies regarding climate change, air quality, alternative fuels, and vehicle technology. He has authored reports: on the potential for green house gas reductions using hydrogen fuel cells, profiling the oil industry, and for CEERT on the implications and economic impacts of climate change in California, and the challenges facing the global wind industry. He has also been a coauthor or contributing author for reports produced by some of the many advisory groups on which he has served. He has served as a consultant for CEERT to select companies in the renewable and clean transportation industries, and has been a consultant to government. John has degrees in biology, psychology (neurophysiology), and oceanography; has worked in the fields of oceanography and marine ecology for more than 20 years (where he conducted research on animal and community energetic, amongst other things); has held teaching and faculty positions at the University of Hawaii, Dalhousie University, and Mount Saint Vincent University; and has corporate experience in nonprofit sector. ® 2016 Clean Diesel Delivers.